Today we are proud to unveil our new logo to our clients! The goal with our new logo is to portray where we are going while holding true to the values that have been our foundation. With the colors, font, and style, we are looking to the future and the growth that has been seen under this experienced team. With the pentagon shape, we are highlighting the five areas of our financial planning strategy for each client. Today, we’d like to breakdown what these five areas mean and how they fit together. Each part of the process is very important to the foundation of a solid financial plan. Failing to solidify one of the areas of the process can leave a retirement plan susceptible to trouble, but a plan with a complete process in sync can help provide a great recipe for a successful financial plan. The five areas of our Financial Planning Process are Estate Planning, Insurance Planning, Tax Planning, Investment Planning, and Retirement Planning. Let’s take a look at each. Estate planning can most simply be described as making a plan for the things you own and how they will be distributed upon your passing. Everyone has an estate, regardless of their level of wealth and it’s important to have instructions for how that estate will be distributed. Having a proper estate plan not only provides you peace of mind, but is one of the most considerate things one can do for the family and loved ones they leave behind. Insurance planning is the part of a retirement plan that helps mitigate the risk in a retiree’s life. From individual life insurance to disability coverage, to a long-term care plan, the inclusion of an insurance plan can help fill in the gaps to protect you, your family, and your assets. We all know taxes are a certainty, and including a Tax Plan into your financial plan should be a certainty as well. By planning properly for your tax obligations, you can have a better idea of how your retirement income will be taxed. Then you can employ the right tax strategies to keep your tax bill as low as possible. Even though we at Strategic Retirement Plans are not tax professionals, we will work with your tax professional to make sure your retirement plan has a well thought through tax plan and help keep everything coordinated along the way. Many people believe Investment Planning is the extent of financial planning, however, you can see here that it is only one of five important aspects. Developing the right investment plan for you consists of understanding your level of comfort with risk. It also includes deciding which investment products will best help you achieve your retirement goals. The investment portion of the plan can be complex, but this is why we believe that the relationship with the client must be established before we transact business. Planning for retirement is a significant part of the financial planning process. As we get older, one must plan for how they will navigate the intricacies of their Social Security benefits as well as planning for Medicare. A well-developed retirement plan can also help maximize your employee benefits and guide you with what do with a pension or 401k. The key to retirement planning is having an advisor that is factoring retirement into the complete process, and not simply focusing on a single area. The Financial Planning Process ties all of these areas together. Your financial plan will help you see the bigger picture as it relates to all five areas. It will help ensure that all of the pieces fit and are maximized for your unique needs. It’s not hard to see that in order for your financial plan to be on solid footing, all five areas of the process are necessary. At Strategic Retirement Plans, we thrive on helping our clients understand the complete financial planning process and developing a plan for each. Our new logo is just a visual representation of the values that we hold for all of our clients. 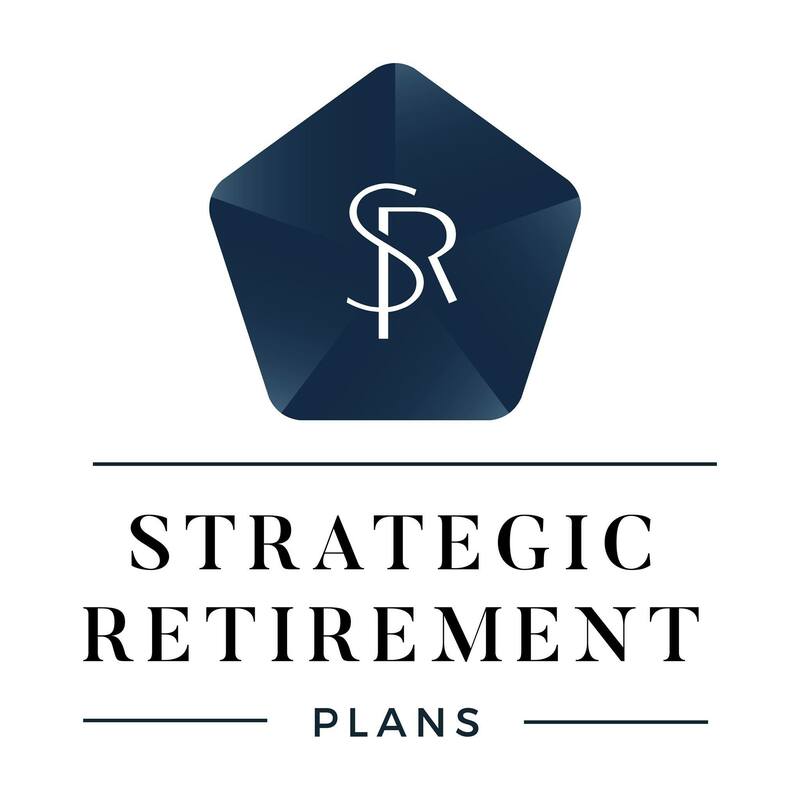 We are excited for what the future holds at Strategic Retirement Plans and our new logo is just the beginning!